Such a transformation has garnered a huge amount of praise, some of it a little over-embellished. Looking through an Online Betting portal, Spurs are still a distant 16/1 to win their first League title since 1961. For Spurs to kick on and provide more than a fleeting test to Pep Guardiola’s all-conquering Manchester City, improvements have to be made. The problem is that improving this meticulously assembled squad may require funds that are beyond the dispensation of chairman Daniel Levy. Former Spurs manager, Juande Ramos, once questioned the club’s hierarchy, asking them, “are you trying to win money or titles?” For Spurs to improve on their three consecutive top three finishes, Levy will have to break a habit of a lifetime and throw caution to the wind. The first area in need of improvement is left-back. Danny Rose now looks certain to be heading for the exit door, and while Ben Davies has proven himself to be an able deputy, he lacks the attacking dynamism shown by elite full backs. An ideal remedy to this problem would be Celtic’s phenomenal youngster Kieran Tierney. The young Scotsman is the identikit for a modern full back; quick, powerful, triple-lunged, cool in possession and brave in his choice of passes. Already being heavily monitored by the likes of Manchester United and Atletico Madrid, Spurs would do well to move quickly. Tierney however has shown a loyalty to Celtic that is rare in modern football, and with another five years remaining on his current contract he may be too difficult a pearl to extract from his shell. Manchester United’s permanently brow-beaten Luke Shaw is a strong alternative. Constantly berated by Jose Mourinho, many have forgotten that a terrific player lays dormant within Shaw. 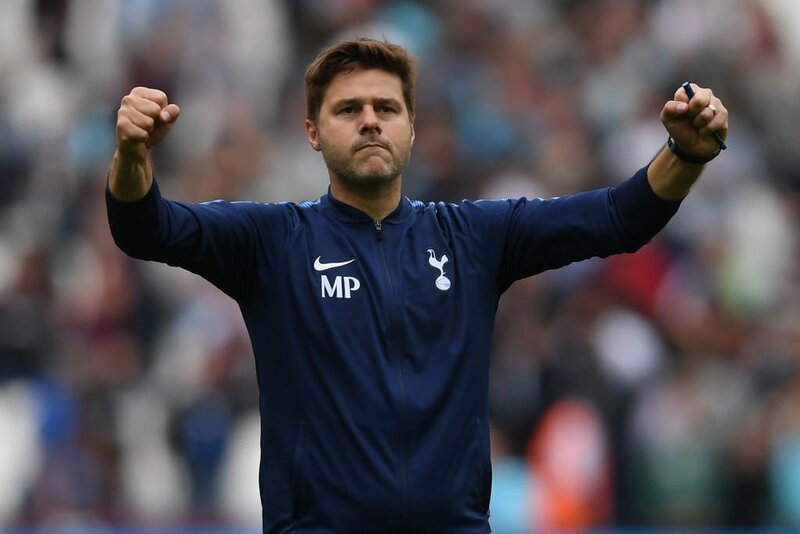 A manager of Pochettino’s style could well rejuvenate him back to the player that prompted United to spend £30million on him. With Eric Dier, Victor Wanyama, Harry Winks and Mousa Dembele, Spurs are well endowed with players able to shuffle across the centre of the park and guard the back four. What is needed is someone able to ease Christian Eriksen’s creative burden. You would assume Dele Alli could slide into that role, yet this season has demonstrated his limitations; a tidy, combative player with a penchant for dribbling and an eye for goal yet lacking the Dane’s ability to thread a pass under pressure. A solution could be found in France, a marketplace Pochettino has been keen to exploit in recent windows, with Lyon’s Houssem Aouar amongst the possibilities. The teen sensation is mustering waves that are being felt throughout Europe. Available for a fee in the region of £25million, Aouar is just about affordable, and has the capacity to grow alongside the club. Spurs are in the unenviable position where elite, established players that will instantly improve the club, would arrive with demands that would unsettle the club’s precarious wage structure. Limited in their options, the three players mentioned above live in that sweet spot between talented and affordable. This entry was posted in Tottenham News and tagged Improve, Transfers. Bookmark the permalink.